Bacon always makes every recipe better, and this one is no exception. 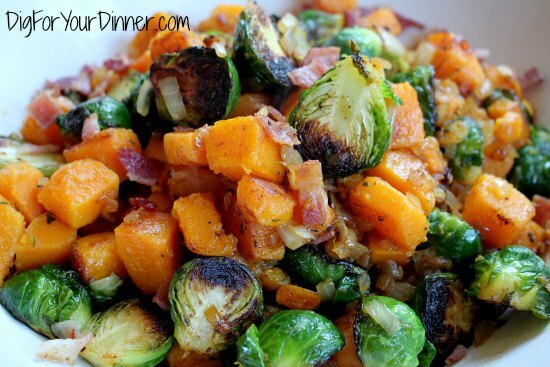 The combination of the Brussels sprouts with the squash and the bacon and the dressing is almost dreamy. If you’re looking for the perfect side dish to bring along the next time you’re invited over for dinner somewhere, this will wow your hosts. 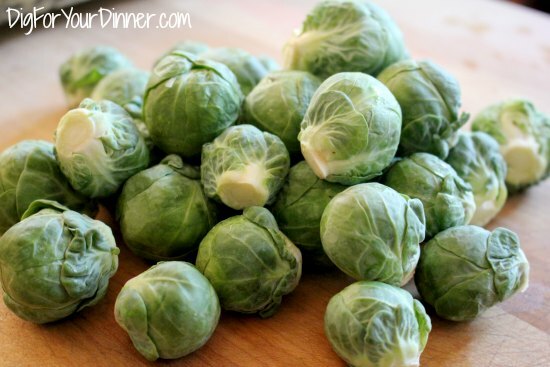 It also makes a perfect side at a Thanksgiving or Christmas feast. Yumm-o. In a pan over medium heat, saute bacon until nice and crisp. Set bacon aside. 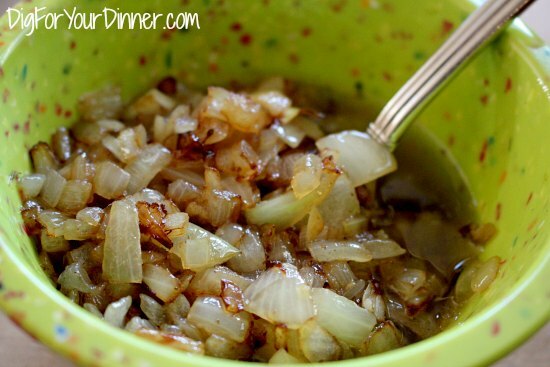 Saute onions and garlic in 2 tablespoons bacon grease for 3 minutes, or until tender. Let cool. In a small mixing bowl, whisk together vinegar, brown sugar, mustard, thyme, onions and garlic. Add 5 tablespoons of the olive oil and season with salt and pepper to taste. Set the dressing aside. Return the water in the pot to a boil. 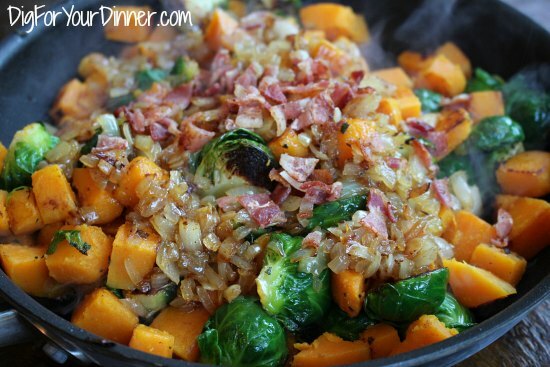 Add the butternut squash and cook 5-7 minutes, or until tender. 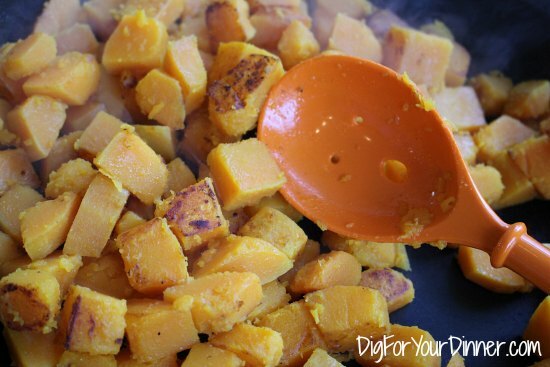 Transfer the butternut squash to a bowl of ice water to stop the cooking process. 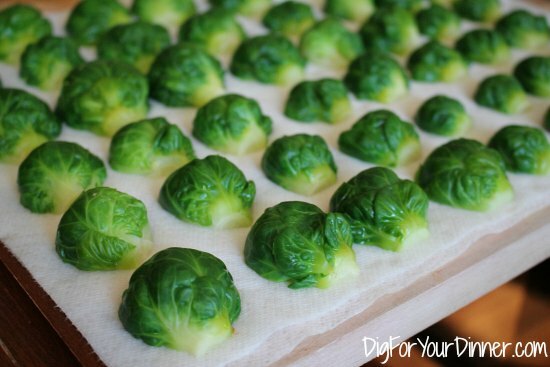 Drain and place on paper towels to dry. In a large pan over medium heat, heat the remaining tablespoon of olive oil. Add the squash and cook for 4 minutes, or until golden and warmed through. Transfer to a large bowl. In the same pan, heat 2 tablespoons of the reserved bacon fat. 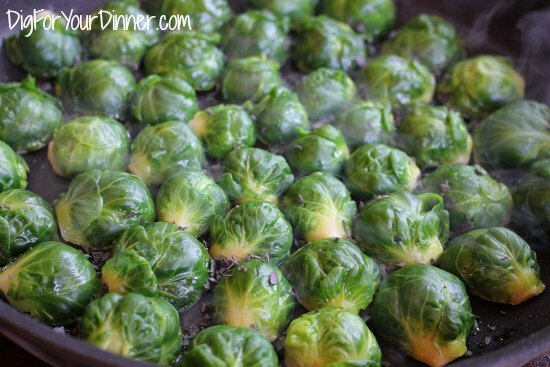 Cook the Brussels sprouts, cut side down, for 4 minutes on medium low heat. Do not stir during cooking. Add sage, stir and cook for 2 more minutes. Add to the squash. Pour the dressing over the vegetables, then stir in half of the bacon. Top with remaining bacon and serve. I can’t wait to try this recipe so I printed the recipe since I’m one of those who need a hard copy. However, I was surprised when it took five pages. I love your instructions and pictures but is it really necessary to include the additional pictures in the print option? That’s a lot of ink and paper for one recipe.